Yeah, it’s Minky. A Burda Minky. want to make something of it? Ooh, look! Giraffe! Sorry, I got distracted. Where were we? The designer might have actually had a bad dream about their textile being used to drape my dainty loins in an odd retro sheath mashup, but hey, that’s how I play, right? Scarilly and unadvisedly! So who was my victim? Burda 7031! Once more a dress that didn’t really need a zipper- the back seam is really unnecessary. Other than that, I made no changes- I just wanted to show off my extremely cuddly fabric! Do you feel teased enough? Shall I reveal my foolishness? Ok- but I did warn you. I have a slight concern about being mistaken for a beanie baby from the back, but hey, it happens, right? I seriously think you more people should check out this pattern, it’s a classic shape and easy to wear- you can hack up your own bears to make one, or perhaps try a sensible fabric. Bruderlein likes this one and the husband titles the picture file ‘fleece beast’ – do you think thats bad or good? photo credits: meadhawg, pattern review, google images. All images remain the property of their original owners. Thank you! I think once again I scared my coworkers, but I was cozy! Pah! to co-workers, I think your dress is all kinds of awesome. I’ve tried to sew a similarly curved dart, very nearly defeated me, but then I’ve got the patience of a hungry cat passing a bowl of kibble. It was a foul language fiesta!!! But I won…..you would have too! Oh thank you! I was worried that this one would definitely earn me my intervention! And this is why we love you so very, VERY much. Aw!!! You are so sweet! You look so cuddly in your minky – very nice. You can’t beat cuddly and paisley. Love it. 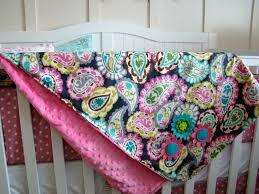 If there were attorneys called ‘Cuddly and Paisley’ Id sue gratuitously! Minky (autocorrect tried to replace that M with a K – naughty iPad!) is so cozy and wonderful to cover up with, so I can only imagine how good your dress feels! 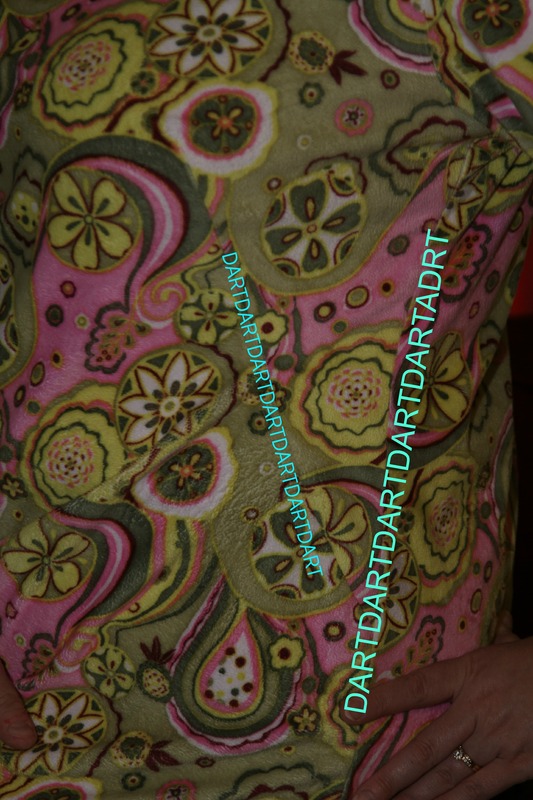 I’ve never thought of making clothes with minky – a pair of lounge pants would be heavenly.. Where did you buy your beautiful, paisley minky, pray tell? Mary Jo’s in Gastonia, NC- but I saw it on fabric.com’s site too! I used to feel so depressed shopping- nothing spoke to me and it all made me feel huge- now I dress a little more foolishly and don’t mind it- let the girls in the next pew gawk! So, really, you’ve been playing the pick 3 game, right? You put pattern names in one bowl, fabric contents in another, and garment types in the third. 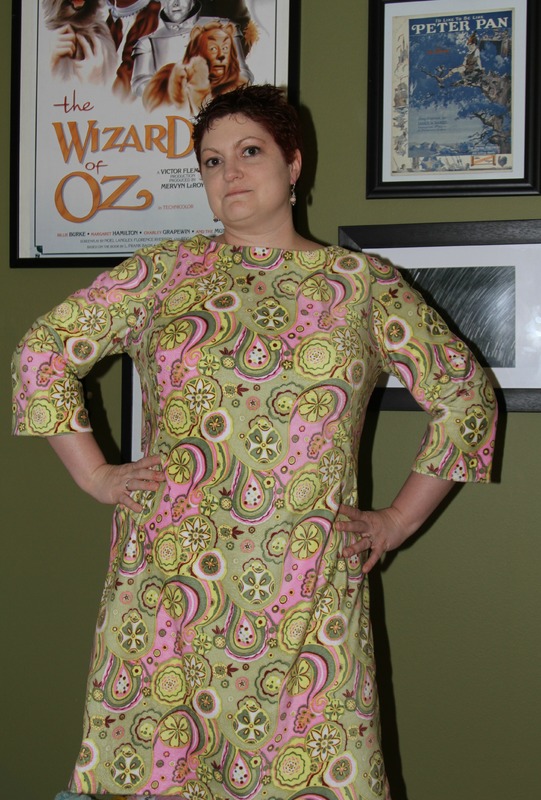 Then you drew out “paisley,” “fleece”, “shift dress” and that’s what you made. Fess up or the intervention is on its way. Oh, I’d love to admit that I plan things that thoroughly, but you know, I just reach in to the textile annex and grab blindly!!! I’m so glad to know I’m not the only one who wanders down the Minky aisle and ponders snuggly dresses. I just haven’t had the nerve to follow through on the impulse yet. Love your dress. Aw come on! Once you go minky……. You look darling and I love the fishnet tights!!!!! You are right out of the late 60’s and making a curved dart probably worked better using the Minky than a woven. Now that you have this one down pat…make a couple more and ignore all those jealous babes who wish they could pull this off and look so hot! Ive been waiting for muggy SC to cool down so I could unleash this fuzzball! I really love it…. You sewed a curved dart in minky .. deep breath .. I am seriously impressed. Love the 60’s vibe of the dress and this is the perfect shirt dress pattern for you. More?? I will admit that I almost had a leg up on the desk for leverage- when I could get the cat off of it to work on! You did the ‘hard yards’ on this dress. I think ‘fleece beast’ is a compliment! Wild and untamed, yet cuddly. Now I want to make one of these. I love stylish comfort. This looks great on you and it looks perfect with the fishnets. I’m on board with you on the Minky Fabric- it’s not just for kids anymore! I made a raspberry pink Minky cardigan and I absolutely love the soft coziness of it. I bought the fabric online, and without the “dots” I think it passes as an “adult fabric”. Your dress looks fab, enjoy it and be comfy! Ok, I totally crave a minky cardy now!!!! I really like this shape and it works so well with a busy print that might overwork a more tailored design. Burda published this pattern in one of the magazines I have, so might give it a go with one of my ‘what am going to do with this’ prints. It may be the perfect ‘what am I going to do with this’ pattern! Yesterday at the fabric store I watched two little girls petting the Minky and arguing very loudly whether or not it was softer than kitty. I think it was about to get violent and cause a riot, much like your dress. I admit that someone in the cafeteria did indeed stroke me. I can just picture those girls- I love it! LOVE Mary Jo’s 🙂 I feel like I want to just reach out and feel your sleeves or something…! I’ve never thought of using that for clothes, but what a great top for someone (like my mother and me) who get really, really cold and are miserable during the winter?! Must investigate at once. Also, that’s a pattern I’ve looked at many times, but have never actually purchased. Glad to know it sews up well. I just may have to- got to find patterns that wont release the jammie vibe for it! Way to drape your dainty loins. I approve. The fit is so great, and I wouldn’t have known it was minky unless you’d mentioned it. Now I want to make snuggles with you. Thank you so much- Im feeling rather vindicated now! Those curvy darts are super flattering – make more! I was just thinking the same thing as the rain hurls itself bitterly at the window. Time to deploy a stylish minky! You have made a compelling argument. Cuddly with curvy darts to boot – what better pattern/fabric combination is there? Seriously… I’ve been dying to try these curved darts… Is it Burda’s devious plan to take a dead simple shift & make it tricky? You know how Burda devils me- I suspected a plot! I love the dress on you. I plan on getting this for my pattern hoard. Thanks for sharing!!! I feel less like a cautuonary tale than usual today! Oooh lady this is cool! I love it. Can I come and cuddle you and the doggies too? I love these colours and I think you rock it. Thank you so much! I was a little afraid of my idea, but now I love it! Wear it in the wrong temp and its swoon indeed! Do it! Its a great pattern! 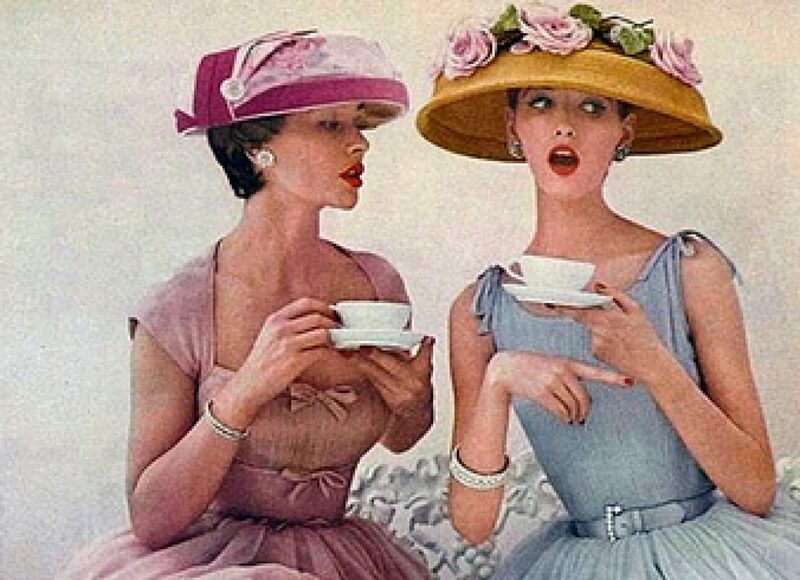 I worked in the fashion industry in London in the Swinging 60s – what a great place to be at that time! One of the designers made that same pattern but sleeveless with a keyhole neckline and the same cut-in armholes. 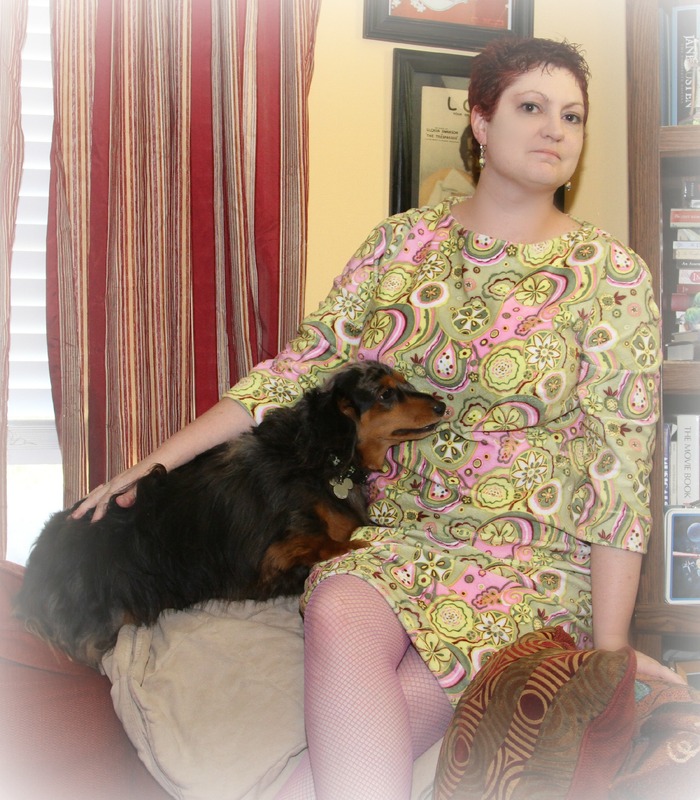 I made that dress many times and loved them all – never in minky though. It would be beautifully cozy. My favourite was in a big bold swirly black and white print.Very op art! I could whip that dress out in under two hours. My suggestion for the dart is to cut it in the middle almost to the point then ease one side. I never had a problem with it. 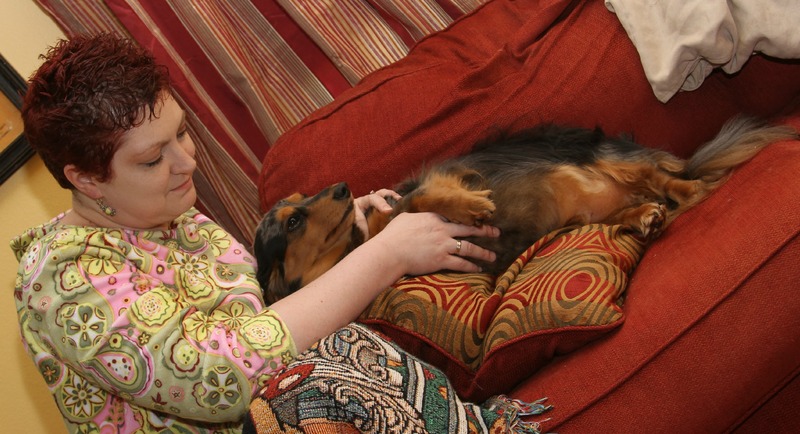 Paisley minky and a dog…can I come pet you? Does it get a little sweaty in there? It is indeed a winter garment- I wont wear it in your neighborhood! Not that I do more than a ladylike glisten of course! This just reeks of serious awesomeness! That is one slamin’ dress! Aw thank you! I love it! Ooooh, it turned out great, I love it!!! I will check out the pattern, I think it will be flattering to my body type as well. Love how you pointed out the darts to us. 🙂 And, the doggies and kitties must LOVE this dress. I can picture them fighting over each other to snuggle with you when you are wearing it. This one definitely does NOT get laid on the bed while I bathe- I find too many creatures on it/in it when I want to get dressed! That’s some serious psychedelia going on there! It looks totally fabulous, very groovy, baby. I hope you do some go-go dancing in it! And it looks so so good with the purple fishnets. It defines cozy, in a weied way!